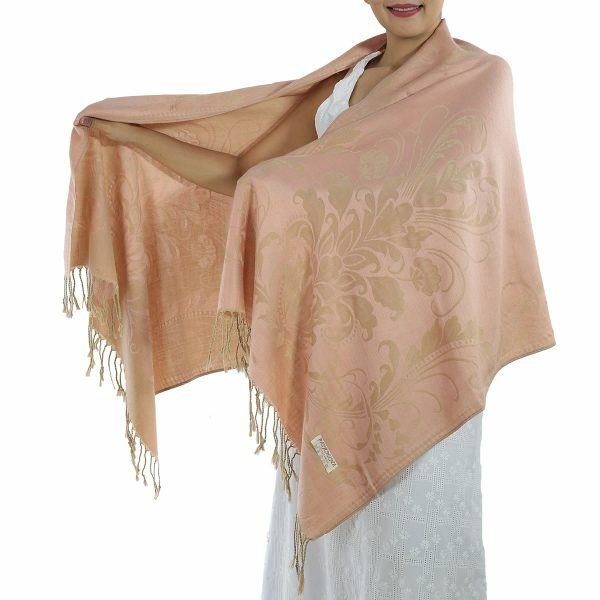 This light and soft patterned Pink Pashmina, look great draped loosely around your neck or body, and gives you endless looks and styles. 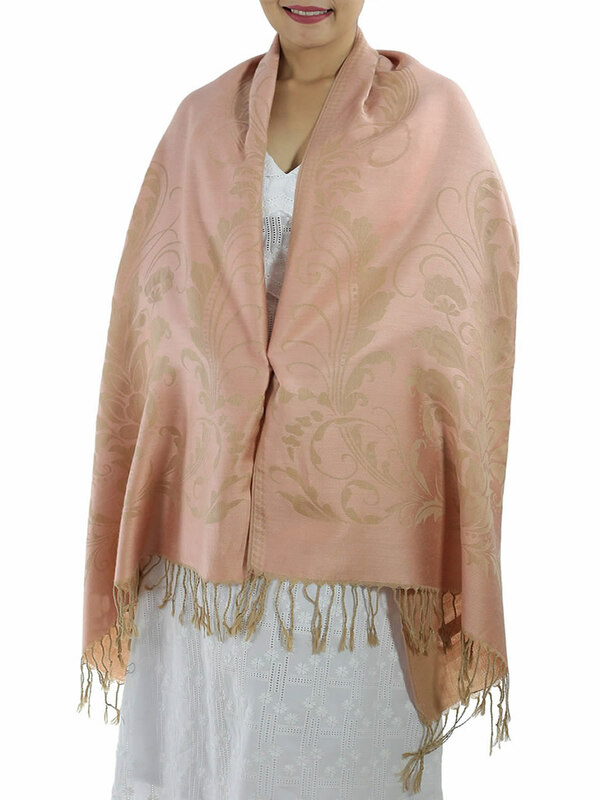 This Pink Pashmina is light and breathable, and is a sensational addition to your wardrobe, giving you relaxed look any time of year. 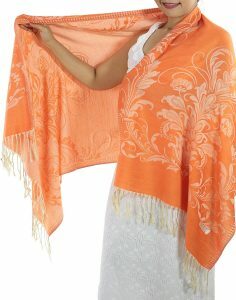 A pink pashmina scarf is a lovely accouterment to a worldly lady’s ensemble. 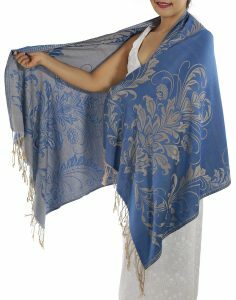 The word ‘pashmina’ literally translates to “soft gold” in Kashmiri because of the utter suppleness of this rare type of cashmere, the feeling of which cannot be properly described- only felt. 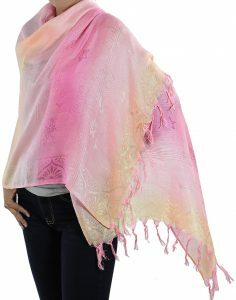 Whether you are watching a movie on the couch or walking down a lamppost lit street at night, having a pink pashmina scarf wrapped around you will make you feel like you are being embraced by your grandmother. 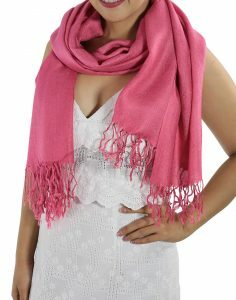 And there is no limit to the functionality of a pink pashmina scarf because you can tie it in so many different knots in order to accentuate various parts of your body or personality. For a more youthful look, you could tie it in a ‘girly Windsor’ or ‘skinny scarf necklace’ knot before walking out the door. 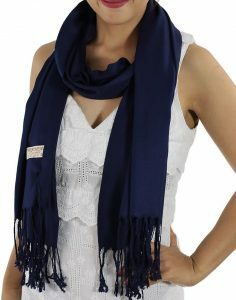 Or perhaps, you want to use it to protect your neck from the cold, and so you tie it in a simple ‘slip’ knot or the slightly more fancy ‘boho loop tie’ knot. 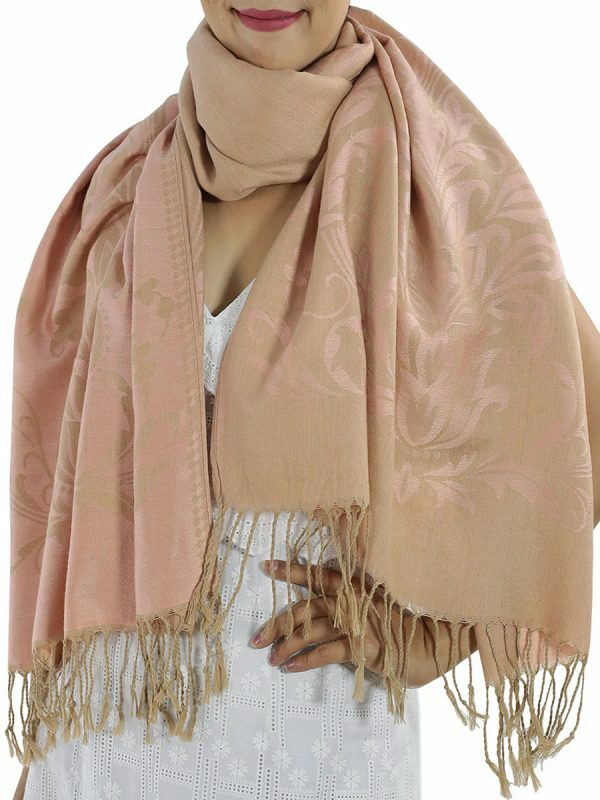 If refinement is what you are looking for, a pink pashmina scarf tied in a ‘muffler’ or ‘double wrap neck’ knot might be right for you. 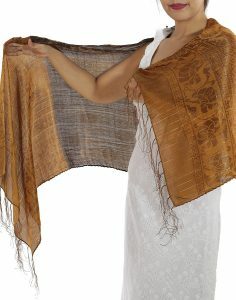 And the stylish soccer moms out there might love it draped over their shoulders in a sophisticated looking, but easy to do, ‘cape wrap’. 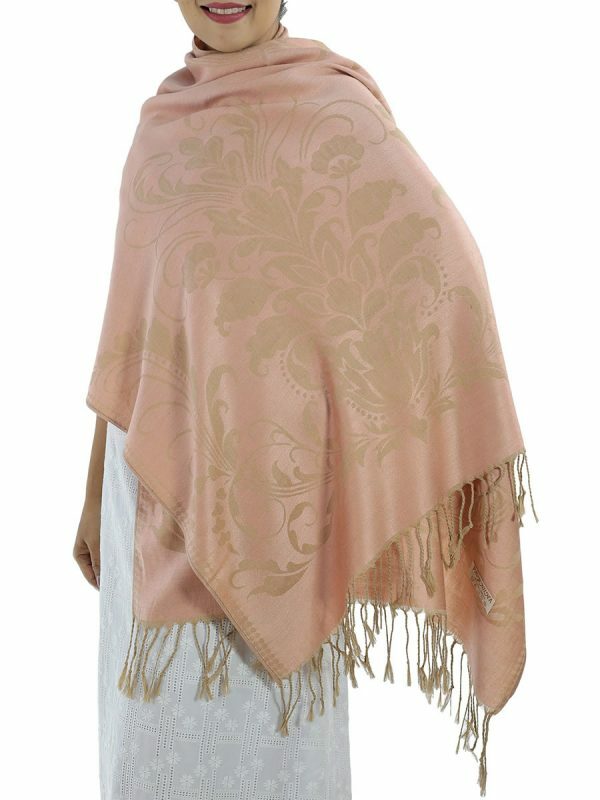 We sell elegant scarves, like our cherub pink pashmina, at bargain prices because the Internet allows us to cut out the middleman. 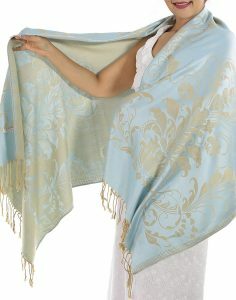 Now, there is nothing standing between you and the zenith of fashion and comfort that is pashmina. 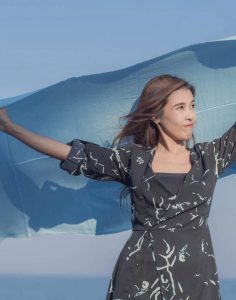 So, why not celebrate the world literally being at your fingertips and purchase a pink pashmina scarf that will make you the envy of all your friends; we will have it delivered to your house within ten days… so what are you waiting for?